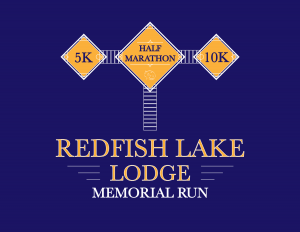 Redfish Lake Lodge is excited to host the 9th annual Redfish Lake Lodge Memorial Run. Thank you to all of last year’s participants. When registering, look for the pre-race meal on Friday evening from 6 – 8 P.M. Participants can register at http://www.imathlete.com/event/redfishrun. Registration fees increase by $10.00 for the Half Marathon and $5.00 for the 10K and 5K beginning Saturday, May 11, 2019. To be guaranteed a t-shirt, participants must register no later than Monday, May 13. You may register at the site on Friday, May 24, from 4:00pm to 8:00pm at the Lodge or Saturday, May 25 by 9:00am. 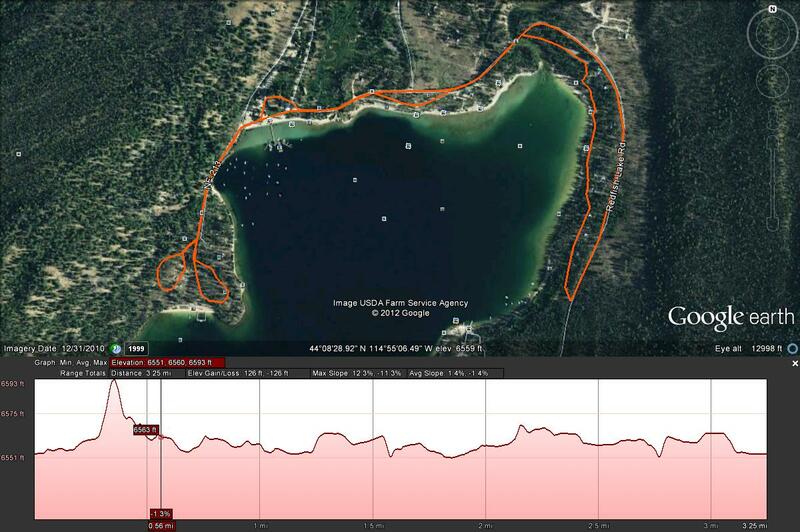 Redfish Lake Lodge encourages you to support the sponsors who have made this race possible. Each of our sponsors has donated prizes and/or volunteers for the run. 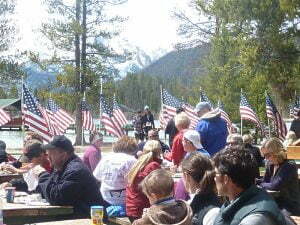 Redfish Lake Lodge will provide a pre-race meal on Friday, May 25, from 6:00 – 8:00pm at the Lodge. The cost of the meal is $13.00 for 10 and older and $10.00 for 9 and under. Meals may be purchased online on the registration site, or by calling the Lodge on or before May 24 at 208-774-3536. Live music will be provided throughout the evening. Hydration will be provided at the start of each race and the finish line. 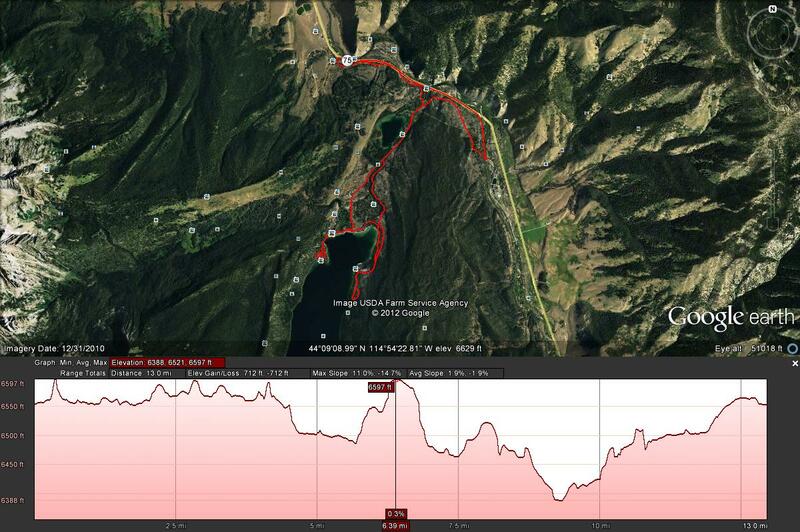 On the Half Marathon course, aid stations will be available every two miles offering hydration and endurance products as well as basic first-aid supplies. If you, your family, friends, or organization would like to be a part of the volunteer effort both on and/or off the course, please contact Jeff Clegg at jeff@redfishlake.com, or call 208-644-9613 by May 10, or at 208-774-3536 after May 11. Check back for any course changes – current courses on links below. All courses will begin and end at the Lodge. 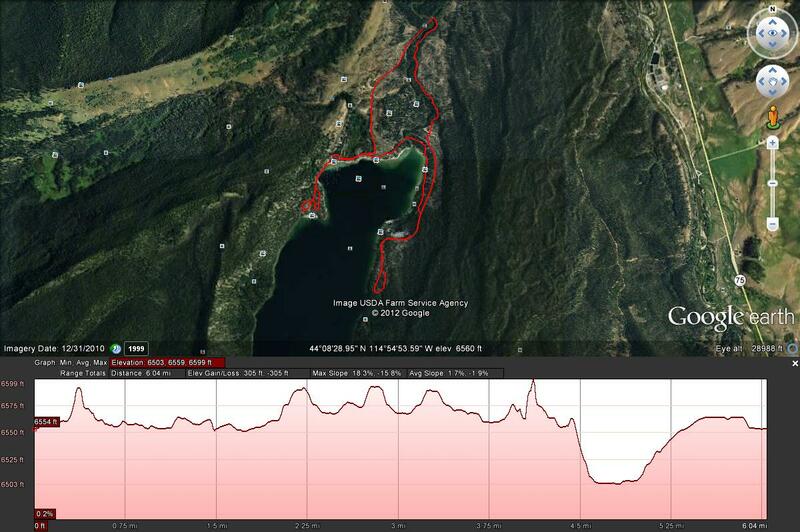 Smiley’s Mountain Photo will be taking photos of all the participants. You can view and purchase online at the website www.smileysmtphoto.com. Book 2 nights at Redfish Lake Lodge and get the third night ½ price! To book at the Lodge, click on the “Check Availability” button on the homepage and be sure to enter promo-code “salmon” below the calendar on the reservation page. For campsites, visit www.recreation.gov. The campgrounds around the lake taking reservations are named “Outlet”, “Glacier View”, and “The Point”. “Sockeye” and “Mt. Heyburn” campsites are first come / first serve. For additional lodging in Stanley, visit our sister properties – Redfish Riverside Inn, Triangle C Cabins, or the Stanley High Country Inn. At High Noon, join other “crazy” runners and become a proud member of the “Bluefish Club”. Meet at the end of the dock and ‘cool’ off a bit in the balmy, refreshing Redfish Lake. If you have any other questions or comments, please contact Jeff at jeff@redfishlake.com or call 208-774-3536. Thank you for participating and making this one of the most picturesque and memorable running events in the Northwest. Make it an unforgettable family tradition!